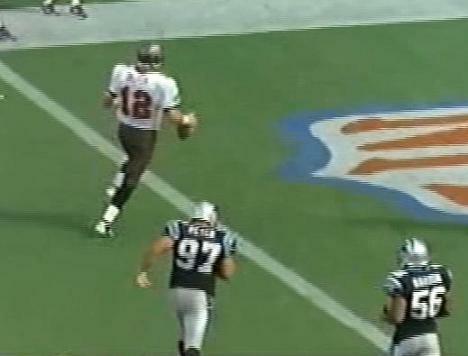 BUCS: Dunn 17-96, Alstott 7-23, Dilfer 4-17. PANTHERS: Lane 20-59, Floyd 2-4, Johnson 1-4. 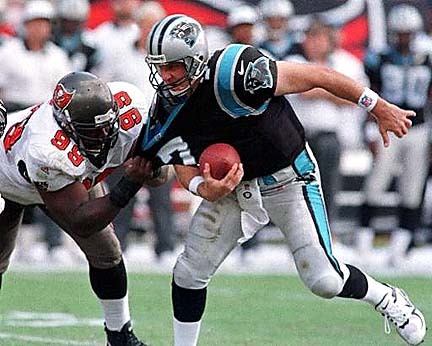 BUCS: Anthony 6-81, Alstott 6-36, Emanuel 5-66, Williams 2-38, Dunn 2-(-2). PANTHERS: Muhammad 6-56, Ismail 5-62, Johnson 4-17, Lane 3-35, Walls 2-34, Broughton 1-22, Floyd 1-8. 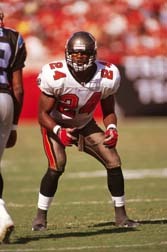 BUCS: Anthony 2-37, Ellison 1-19, Alstott 1-8. 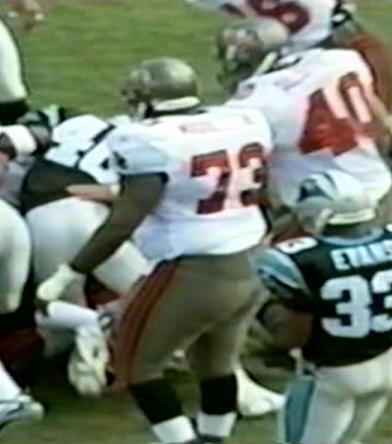 BUCS: Sapp 1-6, Nickerson 1-4, Culpepper 1-1. From zero to hero. 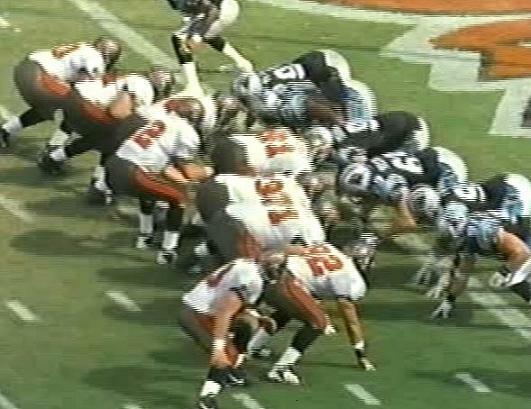 Trent Dilfer led a fourth quarter comeback with two late drives and finished the game off with a 29-yard TD strike to a leaping Karl Williams in the right corner of the endzone. John Kasay had a chance to tie the scores on a 47-yard fieldgoal with 10 seconds left, but missed. "We're back at .500" said Derrick Brooks as the Bucs upped their record to 3-3 after an 0-2 start. "It's a whole new season for us."